Voted Best of Houzz 2017 + 2018 + 2019! An experienced team of craftsman, designers and fabricators undertaking projects large and small. Custom Furniture Handmade in the UK! We set out to inspire & amaze by creating beautiful, functional joinery & interiors as unique as you are. Although we work with a variety of private clients, we specialise in creating B2B relationships, and we especially enjoy working on larger scale projects with interior designers and architects. For the best part of 10 years I have worked within the construction industry and following a qualification in cabinet making from the Chippendale International School of Furniture, I found my niche in sash window refurbishments and the installation of solid wood flooring. My career in construction began in 2004 with a full time role at a London based property refurbishment company. My duties included refurbishing wooden sash windows, bringing them back to life after years of neglect, and managing a team of builders carrying out extensive refurbishment work. 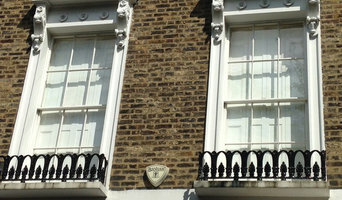 In 2010 I set up my own carpentry business focusing on sash window refurbishment in central London. During a period of 2 years, I refurbished over 120 sash windows to exacting standards for prestigious properties, as well as installing a number of kitchens and bathrooms within said properties. I then attended The Chippendale International School of Furniture in Scotland, where I learned the advanced skills of intricate carpentry and cabinet making. The course covered areas including water guilding and French polishing, conferring a perfect opportunity to hone my skills working with wood to an advanced level. When deciding whether to employ a joiner or carpenter in London, it is best to pick your professional according to their experience on projects similar to your own. For example, installing bespoke joinery such as a staircase involves significant structural work and you might want to work with a carpenter in London with considerable experience in bespoke staircase joinery. You will often find you need to employ both a carpenter and joiner on a single project, and some firms will offer both skillsets which can simplify your overall hiring process. Where can I find a good London carpenter or joiner? 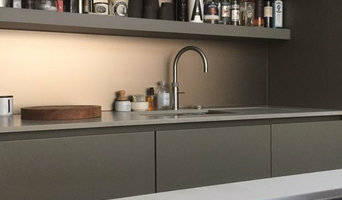 On Houzz there are many professional London carpenters and joiners that specialise in providing a full carpentry service or bespoke joinery in London, whether dealing with fitted or freestanding, traditional or contemporary furniture. Simply search for a joiner or carpenter in London in the Find Pros category, then add images of designs that you like to an Ideabook and contact those on your shortlist. If you need reassurance beyond photos of their work and reviews of previous clients, then you might check to see if the carpenter or joiner is a member of The Institute of Carpenters (IOC), The Guild of Master Craftsmen, the British Woodworking Federation (BWF) or the Federation of Master Builders (FMB). Each asks its members to meet a certain level of expertise and abide by a code of conduct. 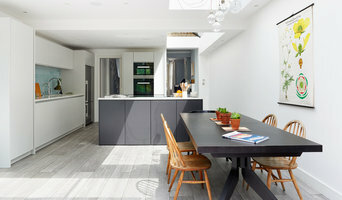 Have a face-to-face consultation – basic brief and image references in hand – see which joiner or carpenter in London is the easiest to get along with and who best understands what you’re trying to achieve. How long have you been a joiner or carpenter in London? Do you offer bespoke joinery in London as well as standard carpentry? Find a carpenter or joiner on Houzz. Narrow your search in the Professionals section of the website to London joiner and carpenter professionals. You can also look through photos of woodwork and bespoke joinery in London by style to find a design you like, then contact the joiner or carpenter in London that worked on it.